In performance applications we always strive to push every ounce of energy and efficiency out of our engine's but most fail to realize that the more you upgrade your motor that you must also upgrade the other components in your vehicle to match the output of your motor. The radiator and water pumps are often constructed of metal components which can take quite a bit of abuse. But most forget that the pluming of our cooling systems are constructed of flexible soft-rubber hoses that are easily overwhelmed and can burst under the rigors of competition. 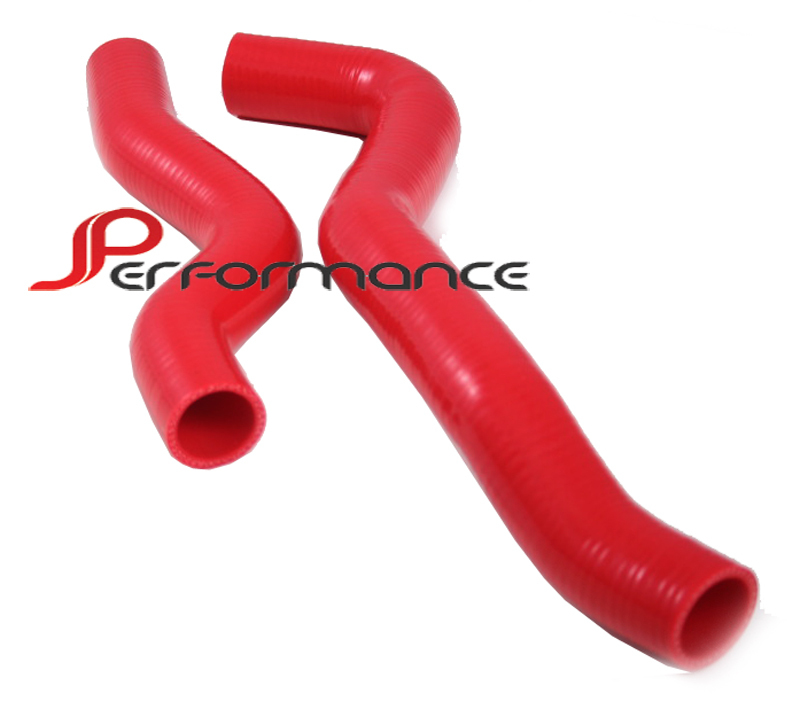 JPerformance has now developed a line of Silicone-based coolant hoses that are designed to take a higher range of heat and coolant pressures than OEM hoses. Silicone has a much higher tensile strength than the OEM rubber hoses which will prevent the hoses from expanding which will keep your coolant from creating air-bubbles in the system which can reduce the efficiency of coolant flow throughout your engine. Created with competition vehicles in mind these hoses are the ideal upgrade for any vehicles that strive to increase the efficiency of their vehicle the right way. Silicone Rubber Construction with smooth, easy clean finish. Temperature Range -50°C to 220°C. 5mm Wall Thickness Reinforced with 4 Polyester / Nomex Mesh Layers to withstand higher pressures than original rubber hose.